Graduate programs vary widely in the types of networking opportunities they offer students. While M.B.A. candidates at top institutions may find themselves inundated with invitations to social events, hackathons, or mock interviews, those in smaller or nontraditional programs may be scratching their heads over how to find new professional contacts. Fear not! 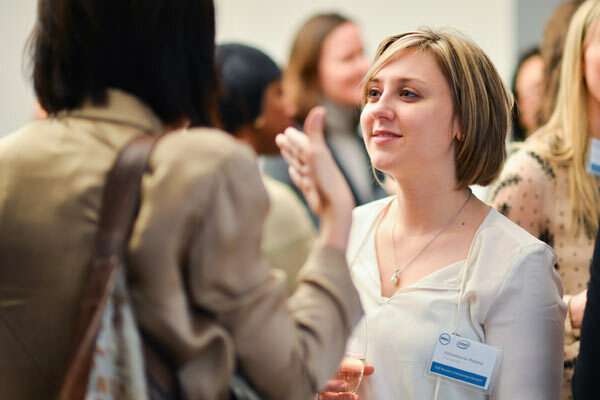 Every graduate school offers opportunities for networking; you just have to make the most of your situation. First off, attend any events that will allow you to network or socialize with faculty members or students within your own program. Pay attention to the e-mails you get from your program—they might mention such soirees. Keep an eye out for campus flyers too. You should also schedule regular office hours with your professors, ask a professor to act as a mentor, or suggest dinner with fellow students. Relationships grow most easily out of social situations, and you never know whom your closest colleagues might introduce you to. You won’t meet anyone new if you don’t venture out. Take advantage of any funds available through your grad program—or put up your own—to travel solo to a conference, visit a nearby school’s symposium, set up an informational interview, or attend a club meeting on a topic only tangentially related to your own. You might discover a new interest . . . or valuable contacts in your own field. Sitting quietly through a conference is a wasted opportunity. Brainstorm smart questions to ask beforehand, and familiarize yourself with speakers’ and other attendees’ research so you have a conversation starter. Dress professionally and take notes, listen, and follow up later. Genuine interest goes a long way toward making an impression. Some graduate students create business cards, whether through school or an inexpensive printing service, to help them stand out during informational interviews or conferences. While cards are a plus, it’s even more important that you cultivate a professional presence online. Whether online or in person, don’t be afraid to approach people with questions or just a simple introduction. Easier said than done, I know, but as I’ve forced myself to do it more often, I’ve been continually surprised at people’s responsiveness. Ask contacts who are well-connected to put you in touch with people they think share your interests. Above all, don’t be afraid to follow up if you don’t get an answer; most people, even if busy, are eager to help. One of my greatest mentors throughout my graduate career was a faculty member who hired me for five hours a week through a faculty aide program. I hesitated to apply, as the pay was miserable, but the position turned out to be mutually beneficial. He allowed me to tailor the job so I could assist with copyediting articles—something he needed help on and I needed experience in—and helped me in turn by giving me career ideas and advice. Our weekly coffee meetings evolved into a long-term mentoring relationship, and his input on both my thesis and my overall career has been invaluable. So network, network, network. Even when it’s awkward. Especially when it’s awkward. You never know when that extra step could lead to an interview, a helpful mentor, or perhaps the most helpful contact of all: a new friend to grab drinks and commiserate about grad school with. Jessica McCann works in research communications at Harvard University as well as a freelance writer and editor. She graduated in 2004 from Northeastern University with a BA in English and a minor in international affairs, and in 2017 with a master’s in English Literature from Harvard University Extension School. Outside of work, Jess is usually doing yoga, running, traveling, or eating ice cream cones on the beach.